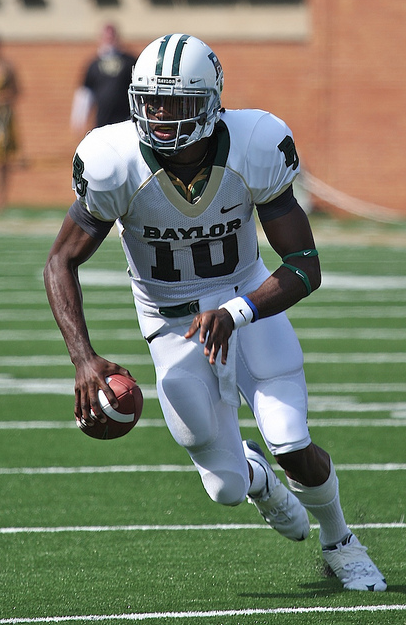 The St. Louis Rams select…Robert Griffin III, quarterback, Baylor. But they already have Sam Bradford? Great. Who says you can’t have both? I want as many playmakers on the field at one time…and Griffin gives a creative offensive coordinator options that no other NFL team has. Blackmon is a special talent, however not enough to pick ahead of Griffin. Blackmon is 6’1 … you’re not getting a Calvin Johnson (6’5). Granted, there are legit playmakers at the WR position who aren’t 6’5 … i.e. DeSean Jackson, Victor Cruz. Again, it goes back to Griffin. The Rams are in the stage of acquiring talent. If teams like Washington or Cleveland offer the kitchen sink, obviously look at a potential deal. But the Rams hold the upper hand. Plus, the more they publicly remind other teams they’re picking Griffin, the more teams start to panic. Panic leads owners and GM’s to go crazy. Look at what Mike Ditka did to draft Ricky Williams. Ditka traded all of the Saints’ 1999 draft picks as well as a 1st and 3rd pick the following year. Ricky was good, but that’s absurd. Griffin fills the need of a playmaker for the Lambs offense. Get Griffin the ball in space and let him go to work. Griffin’s acceleration is lightning fast. Pair his athleticism with a physical specimen like Steven Jacskon … now that’s an offense. Sure, it would be unconventional. For some reason NFL coaches lose their creativity. They forget they can be innovative. Griffin presents a headache for opposing defenses. RGIII would sellout the Edward Jones Dome. Not to mention it gives the team some flair as they try to globalize themselves in London. I had concerns about Griffin’s size. Listed at 6’2, 220, Griffin needs to add some bulk if he wants to be the running threat he is. Frankly, this is imperative towards his success in the NFL. 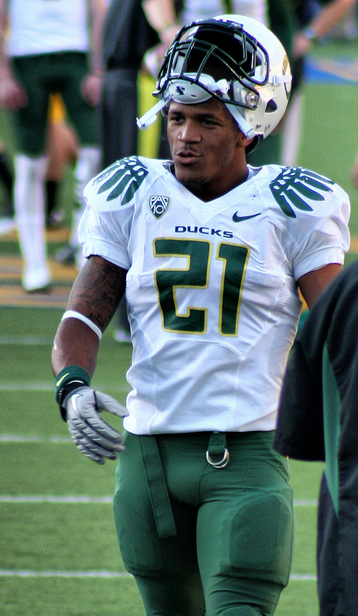 After RGIII, draft RB LaMichael James (Oregon) or WR Michael Floyd (Notre Dame) and acquire a playmaker like WR Vincent Jackson through free agency. Jeff Fisher knows how to draft gritty lineman. Fisher put all of Tennessee’s line together. Two 4th rounders, a 7th rounder, a 2nd rounder, and a free agent (originally a 5th round pick) … I don’t think Fisher is about to use the #2 overall pick on a lineman. Remember, coaching up prospects is possible again with a real coaching staff in St. Louis. It will definitely be interesting when Roger Goodell steps to the podium to announce the Rams’ decision. The wildcard is to pick RG III, the player with the most potential. Of course, the Indianapolis Colts could shock everybody at #1, but whoever gets RG III won’t regret it. I wish I had 4 hands, so I could give this article 4 thumbs down. Your gonna wish you had 4 guns when RG III runs all over the Rams while they settle for 5 yard outs to the Donnie Avery’s ! !